Jay Hirabayashi, Holly Yasui, and Karen Korematsu filed the brief Monday in a case to decide whether President Donald Trump’s revised travel ban in March violates the U.S. Constitution and goes beyond the president’s authority under federal immigration law. Their fathers — Gordon Hirabayashi, Minoru Yasui, and Fred Korematsu — were all involved in unsuccessful Supreme Court challenges to the constitutionality of military orders issued under the authority granted through an executive order signed by President Franklin D. Roosevelt in 1942. That executive order set in motion the rounding up of more than 120,000 men, women, and children of Japanese descent to be sent to incarceration camps in the interest of national security. “Hirabayashi, Yasui, and Korematsu are powerful reminders not only of the need for constant vigilance in protecting our fundamental values, but also of the essential role of the courts as a check on abuses of government power, especially during times of national and international stress,” the amicus brief reads. The Supreme Court in late June agreed to review lower court rulings that had stopped the Trump administration from implementing its modified travel ban. Trump in his March 6 executive order temporarily suspended travel to the U.S. for citizens of six Muslim-majority nations — Syria, Sudan, Iran, Somalia, Libya, and Yemen — and also for refugees in the interest of national security and protecting the country against terrorism. The revised order differed from Trump’s first one, signed on Jan. 27, by removing Iraq from the list of barred countries, taking out the preference for “persecuted religious minorities” seeking to come to the U.S., and eliminating extra restrictions on Syrian refugees. Part of the travel ban was put into effect until the Supreme Court rules on the federal government’s challenge, which takes issue with judgments from two separate courts of appeal. One found that the executive order amounted to unconstitutional religious discrimination, while the other said the order exceeded the power granted to a president by Congress to regulate immigration. Both decisions upheld rulings from lower courts. The amicus brief from Hirabayashi, Yasui, and Korematsu — one of a number filed by supporters on both sides — invoked the failed Supreme Court appeals of their fathers to argue in favor of throwing out the travel ban. In their cases more than 70 years ago, Minoru Yasui defied government curfew orders for people of Japanese ancestry, while Gordon Hirabayashi did the same in addition to flouting removal orders, according to the court filing. Fred Korematsu was arrested after refusing to report for removal. Yasui, then a 25-year-old lawyer, and Hirabayashi, a 24-year-old college student, both violated the orders to spark a court challenge. Korematsu, a 22-year-old welder, did so to stay with his fiancée, who was not Japanese American, according to the brief. At the heart of their appeals was the question of whether military curfew and removal orders for people of Japanese descent were unconstitutional, according to the brief. Those proclamations, covering the entire Pacific Coast and issued by Lt. Gen. John L. DeWitt, got their authority from the executive order signed by Roosevelt. The Court, however, deferred to the government’s claim that military necessity justified the orders, allowing the three men’s convictions for violating them to stand, the brief said. In Korematsu’s case, three Supreme Court justices rejected the government’s arguments, according to the brief, but it wasn’t enough. “By refusing to scrutinize the government’s claim that its abhorrent treatment of Japanese Americans was justified by military necessity, the Court enabled the government to cover its racially discriminatory policies in the cloak of national security,” the brief reads. An excerpt of the friend-of-the-court brief from Karen Korematsu, Jay Hirabayashi, and Holly Yasui. 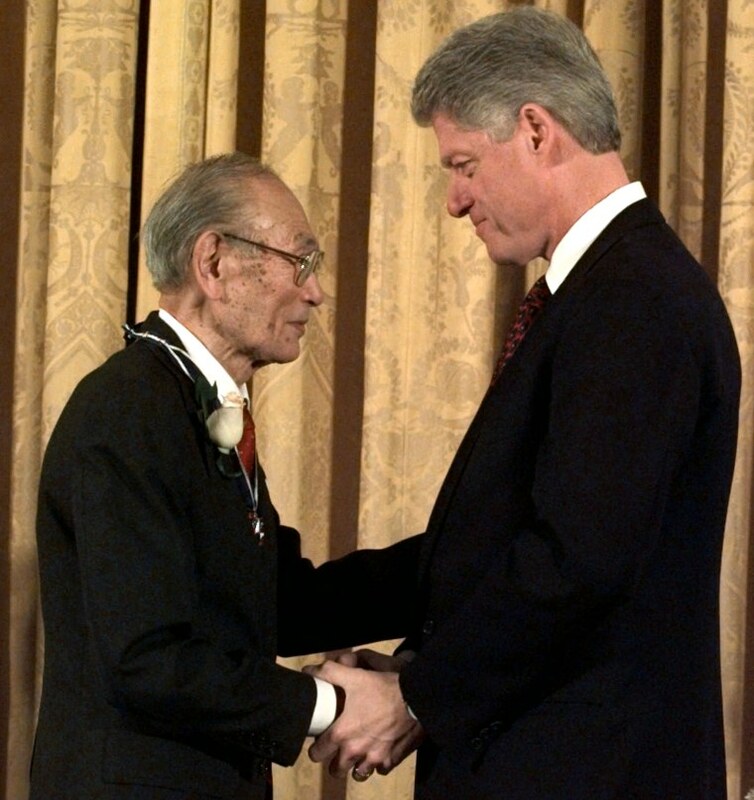 Hirabayashi, Yasui, and Korematsu subsequently had their convictions vacated, according to the brief, and each was awarded the Presidential Medal of Freedom, the nation’s highest civilian honor. Their children argue today that the Trump administration, in its challenge to let the travel ban remain, is asking the Supreme Court to “abdicate its critical role in safeguarding fundamental freedoms,” the brief said. But the federal government asserts in part that Trump’s executive order does not violate the Immigration and Nationality Act, and that challenges to it “are foreclosed by the general rule that federal courts may not second-guess the political branches’ decisions to exclude aliens abroad,” according to its brief. “Rather, it rests on doctrinal tenets infected with long-repudiated racial and nativist precepts,” their brief reads. A number of public interest organizations also joined the amicus brief, including the the Fred T. Korematsu Center for Law and Equality, Asian Americans Advancing Justice, the Asian American Legal Defense and Education Fund, and the Hispanic National Bar Association. “The court has a chance to make sure that one, it doesn’t repeat the mistake that they made earlier, but also really to ensure that our system of constitutional democracy, with its checks and balances, operates the way that it was supposed to,” Robert Chang, executive director of the Fred T. Korematsu Center for Law and Equality at the Seattle University School of Law, told NBC News. Oral arguments are scheduled for Oct. 10.